In 2016 the Institute for Safety and a retailer started a co-operation with the purpose to initiate a new approach towards product requirements for upholstered furniture and mattresses. Those requirements should improve consumer safety significantly taking into account current living situations and current research on domestic fire safety. The overall goal is to improve domestic fire safety through safer home furnishing products. In order to achieve this on an industry wide scale the aim is to develop new product standards and to influence regulation in the EU. The result of the co-operation is a public report with (recommended) test methods for upholstered furniture and mattresses. 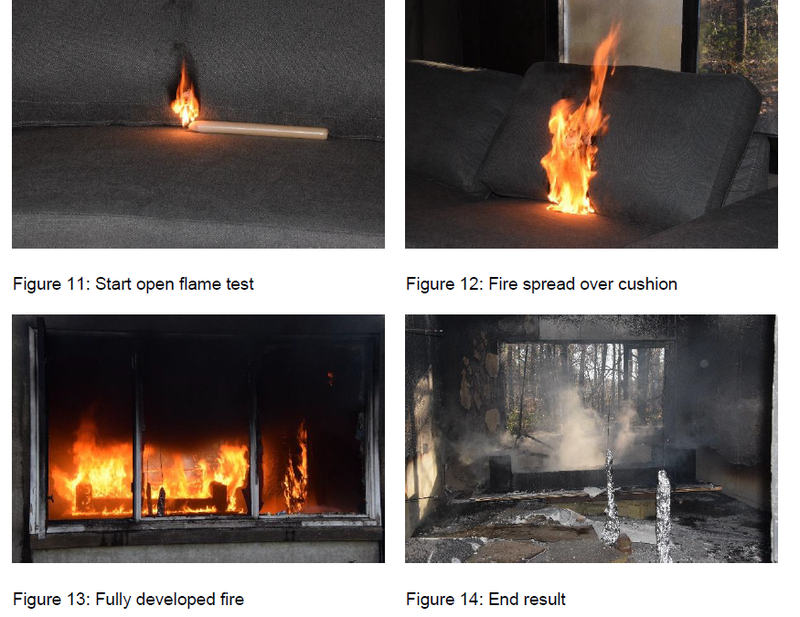 These test methods are supported by the FEU (the Federation of the European Union Fire Officers Associations) and adopted on the basis of knowledge of the fire service (research) and practical experience in the fire service of fire development, smoke spread, survivability and escape options in dwellings (Federation of the European Union Fire Officer Associations (FEU), 2017). The intention is to produce a report in 2017. The practical research in this study is part of the work within the co-operation in order to achieve a public report.